As inexperienced, untalented, and "bubble-ized" as we all know the Trump offspring to be, the new book "Kushner, Inc" shows just how much Donald Trump has imperiled the nation with his nepotism and the tawdry list of characters he has appointed and fired. It's hard to take sides when they are all so appalling. White House staffers mocked Kushner as the “secretary of everything” for his wide-ranging meddling and derided Ivanka Trump’s team as Habi – “home of all bad ideas”. ...John Kelly, formerly Trump’s chief of staff and homeland security secretary, is quoted as dismissing the couple as “just playing government”. ...Bannon recalls Kushner furiously shouting at him at the White House in 2017 after he confronted Kushner about holding secret talks with senators on immigration reform. “He goes from a little boy to, like, this f*cking devil,” Bannon is quoted as saying. Bannon also claims to have told Ivanka Trump: “Go f*ck yourself … you are nothing” in front of her father, during an argument over who was the bigger leaker to the media. Ivanka Trump is said to have called Bannon a “f*cking liar”. And, get this: Both Ivanka and D. Jr. think they will become President one day and that their family is a dynasty. (I'm calling him D. Jr. from now on because every time I type out his name, I type "Dumbo" right after, and I don't like to name-call. I also want to avoid publicizing him). For her part, Ivanka Trump is focused on cementing a Trump dynasty to rival the Kennedys and Bushes by becoming commander-in-chief herself one day, according to Ward. “She thinks she’s going to be president of the United States,” Cohn is quoted as saying. Neither one of them should get their hopes up. The scandals are still coming. The New York Attorney General isn't done with the Trump Foundation Charity yet, claiming they deceived at every turn. NY wants $5.6 million in payback. You can read the Attorney General's pleading here. And if all this isn't enough to ruin your day, check out this Washington Post article on the beyond wasteful Trump inaugural. That goes for all of them. about Kushner the twerp, I think I'll read it on my iPad. That way I can switch to a real spy novel and get rid of him with a flick of the finger. The bubble would be so dense she actually believes she will be president. 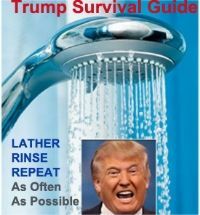 the book, but I definetly will read any indictments. ...are nothing more that fantasy unless someone can prove something. There are so many it would take a break in the laws of time for them all them to be true and all they have really accomplished is proving the paranoia Trump and his supporters have in regards to the media, it not actually paranoia. Toss the peaches in a bowl with 3/4 cup sugar, the flour, lemon juice and spices. Lightly dust a large piece of parchment paper with flour. Roll out 1 piece of the dough into a 12-inch round on the parchment. Ease the dough into a 9-inch pie plate. Add the filling, mounding it slightly in the center; dot with the butter and refrigerate. Roll out the second piece of dough into a 12-inch round and cut it into 1/2-inch-wide strips. Lay half of the strips on the pie in one direction, leaving about 1 inch of space between each strip. Lay the remaining strips on top, crossing them diagonally to make a lattice pattern (no need to weave); trim the edges of the strips, leaving a small overhang. Fold the overhanging dough under itself and crimp the edge of the crust with your fingers. Beat the egg with 1 tablespoon water and brush on the crust edge and lattice top. Sprinkle with the remaining 1 tablespoon sugar and refrigerate until firm, about 30 minutes. Position a rack in the lower third of the oven. Put a baking sheet on the rack and preheat to 425 degrees F. Put the pie on the hot baking sheet and bake 20 minutes. Reduce the oven temperature to 375 degrees F and continue baking until the pie is golden and the filling is bubbly, 50 minutes to 1 hour. (Cover loosely with foil if the top is browning too quickly.) Transfer to a rack to cool completely before slicing. Now that the snow is fast disappearing, what with temps in the 60s, I need to prune my peach tree this week, and the apricot tree, and the nectarine tree. Actually, I have a friend do that. He did a lot of fruit-tree pruning in local orchards before he became an expert house remodeler. So he know how to do it, and thinks five years ahead for what the trees will need. Mmmmmmmm, fresh fruit's a'comin. Raspberries first, though! Then the blueberries. I pruned all those two days ago. Oh boy, I'm so glad this winter is done. Looking forward to moving all the plants out on the deck. They are looking forward to it too. to get some peaches from Georgia to make this. They are the best :). growing in PA. Lots of groves around Biglerville in Adams County. lean towards Im-peaches at the moment. Vidalia onions, yes. Peaches, good, but second to NJ. The best are Walla Walla sweets from the Pacific Northwest. Court packing question in another thread? difficult question, to which I don't have a blog-comment-sized answer that I'm confident about, at least not yet. Sorry, Capt. About democratic candidates attempting to pander and over promising things they can't deliver. I think this is unwise particularly in the coming election because they will be so many first time, or first presidential election, voters. Packing the court. Eliminating the electoral college. Reparations. I'm not really against any of those things in the abstract but all would be fantastically hard to deliver. Not quite sure how to feel about it. Not saying that's what you mean but looking forward to some insight. Clearly it's going to be an issue in 2020. ... if the Republicans hadn't first bulldozed through and blown off most of the Senate's democratic norms in order to both paralyze the federal government and pack our federal courts with right-wing nutballs and ideological zealots, there would otherwise be no need for us to have to discuss a potential and prospective expansion of the U.S. Supreme Court from 9 to 15 justices as a counterbalancing measure. had NJ peaches but my friend from high school and college who lives in the Philly area raves about them. However you don't get good GA peaches in the grocery store. I get them at the farmer's market from family farms that have been growing peaches for like over 100 years. These farms are in central GA where the first peach plants came directly from China and they are originals that have not been messed with genetically. you go to a farm stand in south Jersey. But in order to ship them to the islands, the fruit has to be picked so early that it's like buying a case of baseballs when we get them in the local grocery stores. And if they've been plucked off the trees too early, they'll simply rot without ever having ripened, and we end up throwing the entire lot away. Everyone knows that Palisade peaches grown in the shadow of beautiful Grand Mesa are the best. Warm days and cool nights bring out the natural sweetness. and gonna eat a lot of peaches. ... not discussing uncomfortable topics has been replaced with recipes and the thread gets hijacked with 101 versions of 'that sounds yummy'. the recipe responses either. Recipes had been reserved for "Ivan". If someone did not like your comment, they could have responded with their own comment or given a low mark. Usual TL way. ...where did Jim or JIMakaPPK go ? Back in the day, TL did not require names/handles to post comments, and if you didn't choose a handle your post would automatically appear with the handle "unnamed." So having not yet chosen a handle my posts appeared as "unnamed," and someone I sarcastically disagreed with then referred to me as "sarcastic unnamed one." Although I do not remember who the commenter was I'm sure it was not Jim, as I rarely read his comments and even less often responded to them. It wasn't Dadler either, but maybe he was around at the time and remembers who it was? when TalkLeft moved from Movable Type to Scoop and the comments were moved over, everyone became a "TalkLeft Visitor" with no name. There was no way to transfer the names. There were a few exceptions for some reason, but maybe that's how you became unnamed. All the "Talkleft Vistors" did use their "chosen handles" when they made the comment, the handles just didn't survive the move. TalkLeft has never allowed anonymous comments -- only registered readers can comment. I don't remember how you became know as Sarcastic. ...he got das boot ? I remember him and jondee were tight and that he had his own blog, pajama pants or pajama party ? Oe something like that was his RWNJ "blog". from making himself the topic rather than the subject of the post. Every open thread turned into bickering with personal attacks between him and whoever was arguing with him in that particular thread. It lowered the level of discourse here. He also, towards the end, started trolling, posting opinions he had shared hundreds of time just to start a fight. Too many readers would fall for it. book may be a fantasy, two books may be a fable, three books start to become a narrative...many books that repeat the same story(chaos in the WH)and soon you have historical fact. Not to mention the rest of the evidence that is plain to see. I didn't know that people here trusted Bannon to tell the truth about anything. ESPECIALLY Mueller does not trust Bannon. Anyone reading the news during the last three years knows that Bannon can't be trusted. I hope YOU don't trust Bannon. Mueller had no reason to "trust" Whitey Bulger, who was a murderer. Nobody has accused Bannon of murder. But Whitey Bulger's testimony put John Gotti in prison. It turns out that experienced prosecutors like Mueller don't trust ANYBODY, so they back up testimony from multiple sources. Now that you know that, I hope you feel better about "trusting" Bannon. ...you don't distinguish between, 'people here', and special counsel Robert Mueller? The author, Jeralyn, is posting it here; with all her talk about libelous and whatnot; there is an implication of posting it here. And as far as, I, or you know, Special counsel Robert Mueller hasn't read the book, much less used it to indict anyone. No one here knows if it is factual, yeah, judging the people involved, it's most likely hitting the truth more than not, but the idea that we just take another book about Trump on it's face seems silly, especially when it's got information from unsavory characters such as Bannon. And I doubt anyone thinks any of these books are 100% accurate. As mentioned above, that you so cutely derailed with a recipe, all the books simply cannot be true. And to me, without knowing what is real and what is false, we shouldn't be throwing accusations around just because we don't like the guy or his family, especially a book that has information from the likes of a Steve Bannon. Who in the hell is Vicky Ward anyway ? Just curious why you think they "can't "
The majority of sources are people that work for Donald Trump, did not work for DT, and/or are politicians. IOW, people highly motivated to lie. The most famous book, "Fire and Fury: Inside the Trump White House", has had a lot of the claims discredited. There are only so many hours in the day. There's been what, 15 books, each about 300 pages, of all the things that Trump and family has done that is unsavory in 2.5 years. I mean come on, even the devil isn't that busy engaging in mayhem. Please don't confuse this with my personal opinion. I think Trump has committed many felonies, I think they will be able to prove some of them, and I think the democratic party won't do a GD thing about it because they would rather talk than walk. There is truth in these books, but to think they are factual is silly and the more that come out the more they seem like hit jobs from a party that can't deal with losing. really need to be changed either don't read, or would need to be forcibly ripped away from the Bible, Ayn Rand, or some 8Chan conpiracist "white genocide" discussion thread. I do think though that Trump's well-known reputation for suing people at the drop of a hat would tend to steer writer's accounts in the direction of veracity. Anyone who has followed Trump even just going back to the 80s and ignoring the history of his father know that not only is it almost a certainty that everything in everyone of those tell all books are true but that that do not even represent a scratch of the surface or the tip of the iceberg. Google is (mostly) our friend. That is the subject of this blogpost I have been seeing the author in interviews. Strikes me as pretty damn credible. And in spite of Sara Sanders statements otherwise there are lots of "on the record" comments. admit to having read a couple of them, including Fire and Fury, as a part of the political landscape. In the Trump era, these books may bring some scandalous or even, titillating, perspectives, but nothing as damning as what we hear right out of the "horses mouth"--- so to say. Conspiracy, collusion, obstruction/abuse of power, self-dealing---all out in the open, no books required. Michelle Goldberg, in today's NYTimes, provides a review of the book in discussion, and, at its core, the author brings no new, real information. To the surprise of no one, Ivanka and Jared are spoiled rich kids who reached an adulthood made for each other and the Trump Administration's cast of characters. I avoid cliches like the plague, but "the apples do not fall far from the tree", could be a subtitle. The Ivanka/Jared team seems to be charged with responsibilities vastly over their pay grade (even though they work for "free"), and the Kushner family bought a white elephant at 666 Park Ave and Jared has been scrambling to get a bail out. And, what are friends and networks for if not to help. Qatar, Bone Saw Prince, are just such new friends who may provide benefits. The Democratic Party did not have strong options during the first two years, blocked in the House and Senate (cf. Devin Nunes et al). However, the resistance and the 2018 elections were not unimportant. It was a victory of sorts to get a Special Prosecutor appointed and, then, not fired. What will come of the felonious and other wrongful conduct of the Trump inner orbit remains to be seen. There has been more than talk, in my view, and a lot of walking. The task at hand, with impeachment votes or electoral votes, is to remove from office the orange occupant of this blighted presidency and to stop the ongoing and serious damage to the country. make that Special Counsel. (not Special Prosecutor). ScottW714: "The most famous book, 'Fire and Fury: Inside the Trump White House"', has had a lot of the claims discredited." I'm not aware that much, if any, of its claims has since been debunked and / or discredited. I'll grant you that there were a lot of White House officials who were unhappy with or embarrassed by it. But the bottom line is that the book's still mostly gossip -- and gossip is, well, gossip. I tend to not have too much faith in gossip, regardless of how salacious and juicy it is. Christopher Steele's dossier, on the other hand, is not gossip but actual raw intelligence gathered by a former MI6 operative who's a well-respected Russian affairs specialist. And it has since proven to have some serious legs, despite the efforts by the GOP right to discredit its author since it was first leaked in January 2017. About one-third of its contentions have been verified by investigators, and none of it has been debunked. Between "Fire and Fury" and the Steele dossier, the latter has much more credence that the former, and its allegations are far more serious from the perspective of national security. is pretty informative -- especially on things like the plane ride home from Europe when the response to the New York Times article on DT Jr's Russia meeting was crafted (reportedly by Hicks and Kushner -- the book said Ivanka had taken a sleeping pill and gone to sleep. His version credibly (in my opinion) explains how the story they were crafting led to Mark Corallo's and Trump's lawyer (I forget his name now) resigning. I actually have a PDF copy of the book I can cut and paste from, and have gone back re-read sections several times when stories come out about various white house personnel resigning. the Age of Trump is that in contemplating for too long how far off the deep end the Right has gone, we seem to be at times in danger of slipping over the edge ourselves. Maybe that's what Nietzsche meant when he said if you gaze into the abyss for too long the abyss gazes back. Nietzsche, on the other hand, was affirming bothsiderism ow whataboutism. This is, in my view, a danger from the media---equating the fanatical, authoritative Right with the left...e.g., institutionalized horrors, such as white supremacist, racist (or the softer, economic anxious)...versus a comment by a freshman Democratic member of Congress on something green. don't let the crude, stupid, and unprincipaled drag you down to their level. "I mean, one of the challenges when you report a book like this is not to take just one person's version of events," Ward said. "I think that particularly when you have sources who want to be anonymous, it's really important that you double source everything so you can be absolutely assured that the scene about Jared pushing the president to fire James Comey did not--just because Bannon is in the room, that there is multiple sourcing, eyewitnesses on that." I think Bannon sounds similar in both books. Which doesn't make the comments attributed to him true or false, but it does seem like he probably made them. I didn't promote the book or vouch for Ward or the book's contents. I wrote about its publication because it's in the news. None of the quotes I mentioned are libelous -- it's not a crime to want to be President, and I don't think anyone would contest that Trump's children don't have prior relevant experience for the positions they hold, or that their positions weren't the result of nepotism. with Ward's quote is here. ...over Trump trashing McCain is seriously funny, from democrats acting like McCain was their best buddy, to republicans acting like they are offended for the thousandth time by the guy everyone knows they will vote for, including the McCains. with the both-siderism? This is not a partisan issue whatsoever, by all accounts McCain was a decent human being and a loyal American. Simple humanity demands respect for such a person even if he was a lifetime political foe. ...in 2008 involving Obama and Palin and there wasn't a kind word to be said about McCain and little respect from the left, but now that Trump is dumping on him, he's larger than life man who doesn't deserve a disparaging remark form anyone. If by both siderism you mean both sides are full of it when it comes to McCain outrage, then ya, I'm a both siderist when it comes to defending John McCain's honor. that a lot of people object to. I will be honest and say that if I had nothing nice to say about a person when they were alive, I am not going to change my tune after they die. As far as McCain is concerned, I think many democrats appreciated this moment. "I can't trust Obama. I have read about him, and he's not, um, he's an Arab," a woman said to McCain at a town hall meeting in Lakeville, Minnesota in October 2008. McCain grabbed the microphone from her, cutting her off. "No, ma'am," he said. "He's a decent family man [and] citizen that just I just happen to have disagreements with on fundamental issues, and that's what the campaign's all about. He's not [an Arab]." I have also read a lot of accounts from people who talked about watching the moment McCain gave his thumbs down for the repeal of the ACA and what it meant to them personally. His no vote meant that it would save their life or the life of a loved one that depended on the ACA, that is a powerful thing. The fact that McCain requested that Tr*mp not be at his funeral is enough for me to like the man. While I am not about to put him on a pedestal or lionize him, I will say, he had his redeeming moments. ... trashing Nixon, Reagan, or Bush. Or have they been dead long enough to disparage posthumous? McCain may have called out an OWL, old white lady, but he pulled Palin into the mix to do what he didn't have the stomach to do, insinuate that Obama was a foreigner with ties to terrorism. I think it's just as telling that she wasn't invited to his funeral as well. My point that seems to have been deluded a bit, it isn't that McCain wasn't a good guy or a decent human being, only that the people that are jumping to his defense aren't doing it out of altruism, that that is pretty damn funny. And for F's sake, can we please stop acting offended every time Trump sends out an offensive tweet ? That is his rocket fuel, he lives for it and so do the people who put him in office. Most of his appeal is not being politically correct. It's like no one has learned a GD thing since 4 years ago. They keep feeding the monster. I'll Remember That Next Time Someone is trashing Nixon, Reagan, or Bush. Or have they been dead long enough to disparage posthumous? I don't believe anyone here is saying that you can't trash McCain (or anyone else who is deceased) or that there is a waiting period once a person dies before you can say something negative about said person. Speaking for myself only, I think bashing McCain for Palin is fair game. Mocking his service during the Vietnam war is not. I think Tr*mp trying to take credit for McCain's funeral by saying that he gave McCain "the kind of funeral he wanted" rubbed people the wrong way. Trashing people who are dead makes no difference to the deceased but can be hard on their loved ones who are still around and most often are not responsible in any way for the deceased person's action/words. They are the only ones who will be hurt. the people that are jumping to his defense aren't doing it out of altruism, that that is pretty damn funny. We all have our own reasons for defending McCain. It is a bit unfair to assume that no one is doing it out of altruism. There is nothing wrong with showing simple human decency and good manners. I confess I am exhausted from being outraged by all that Tr*mp has said and done. I am glad that there are others who are not. I believe that the minute we all become numb and just shrug our shoulders at his latest offense, it will normalize every vile thing he has said and done. We cannot afford that. I disagree with you that acting offended is Tr*mp's rocket fuel. The man craves adulation. He is so thin-skinned, he cannot handle the slightest perceived slight. We need to keep showing him how much he disgusts us. This is not a "tweet". It's a days long sustained attack that, yes, is clearly intended to distract from the looming media hell about to descend on Trump. That said we can ignore it and normalize the vile behavior it is or we can walk and chew gum at the same time. things, we are still on the same team. Here is a video that makes me laugh everytime I watch it. I feel like my absence has everyone forgetting that when it's slow sometimes I will stir the pot a little. Call me crazy, but without Jim, everyone agreeing on almost everything is pretty boring. Put JBinDC in that same camp, before HRC she was a good source for a good opinion that wasn't so homogeneous. No peace offering needed because this is just me being me. That is not to say that I don't find the McCain non-sense funny, I do. But dang, I just don't remember TL being so damn agreeable. I like arguing about things that I really don't care about. When recipes start taking up real estate at a political blog... someone needs to kick the dog. Excellent video BTW. all agree. And normally, I wouldn't care if we snipe at each other over pointless little things. But, I loathe Tr*mp so much that I prefer that instead of bickering with each other, we direct all our animosity towards him and his henchmen. I can't say that I miss Jim. He just repeated the same things over and over again but I do miss JbinDc. for the sake of arguing when we were talking about the Packers and you said Sterling Sharpe wasn't that good. good years left in him. max around 9.2 with incentives. Not sure where I got the 30 number in my comment above, but it was way off. ...Clay's good twin from Wisconsin, received a $30M signing bonus ? Everyone knows Shannon is the one that is way overrated. in picking Palin was inexcusable and unforgivable. I have no fondness for him. The reason Trump's comments were out of line is that he's picking on a recently deceased person who can't fight back and because McCain honorably served in the military and was a prisoner of war. seen anybody saying McCain was their best buddy. In 2008 Obama's campaign should have gone after McCain's and Palin's bad ideas instead of going after him personally. ...how thin skinned TL is in regards to criticism of democrats. Can I amend my last comment to say, "Yeah people who never gave two squirts about John McCain should most certainly jump on the 'Trump Has Again Sunk to His Lowest Level' bandwagon because it will solidify a win for democrats in 2020. Then broil on high for 10 mins and let cool before sticking a fork in it and declaring it done. that has disparaged John McCain's service to his country. His politics, sure. His very poor choice of running mate, definitely. But name a Democrat that has ever spoke ill of his military service or the time he spent at the Hanoi Hilton. "I like people who don't get captured." Not a Democrat. I disagreed with pretty much all of McCains political positions. But he walked the walk. It wasn't my walk. Mine was sadly closer to Trump. And I can say I would not have gone to Vietnam because I opposed the war, I did, but the truth is I did not want to die. I could not afford the out Trump took. I "won" the lottery. So I did not need to. But I would have done almost anything to avoid going. I knew enough men who went and came back. But McCain was from a military family. He had to go. He went. When he was offered a chance to leave because he was from a storied family he turned it down. That quite apart from the stuff about being the last republican to speak truth to the whacked out crazies and voting to save the ACA. I think what Trump is doing is beyond and below despicable. If someone can't see that it's not my problem. Name one Democrat that has disparaged John McCain's service to his country. I believe only Trump has done that. Name one Democrat that didn't put McCain's judgement or state of mind on the block when he decided on Sarah Palin as a running mate ? Off topic, but one could argue that Palin paved the way for Trump, which is really funny and something surely Meghan has pondered a time or two. between TalkLeft and TalkLeft commenters. As to TalkLeft, this is a site that supports the Democrats, whatever faults they have, because I believe they are better than Republicans when it comes to every issue of importance to me personally and to persons accused of crime. I never interfere with well-written comments that criticize Democrats' strategy or a particular Democrat's position on an issue. I only intercede when the comment includes name-calling, personal attacks or is patently false. I also don't allow comments that shill for votes for Republicans or third party candidates in an election year. People need to get their own blogs for that. his report to the AG. Lots of speculating on the talking head shows. spun as a big win for team tRump and I won't disagree. Barr says he will pass off info this weekend. He say he will consult with Rosenstein and Mueller on what to release. Been spinning so wildly out of control if he thought that was the case. Is there any reason to think there are or ARE NOT sealed indictments? Now that it's over and they are not yet announced. sealed indictments because the report would tip off who they are and give anyone charged an opportunity to destroy evidence, such as on their phones and computers. If there were new indictments, I would expect them to be preceded by arrests, not the announcement of a report. We just kept hearing about these sealed indictments that were supposed to be out there some where. There will not be further indictments. So wondering if there may be existing sealed indictments. For these folks, secret is secret and sealed is sealed. If there are sealed indictments they would not be unsealed when the investigation is concluded? As a result of the conclusion? I guess is what I was wondering. Why would they remain sealed? Because of other ongoing investigations? Maybe. sealed. In all my experience, the only reason I have ever seen for an indictment being sealed is allow the successful execution of an arrest warrant for someone who might flee the jurisdiction if they knew an indictment had issued against them. In this context, it could be someone who is overseas (a Russian, for example), and who might travel to a place where a U.S. (or Interpol) warrant can be executed if they didn't know that an arrest awaited them if they did so. That's the only theory I have. If there is another, I don't know what it would be. I wrote my comment before reading yours. What happened to, shoot I can't remember his name, but he would post the occasional sports related post. 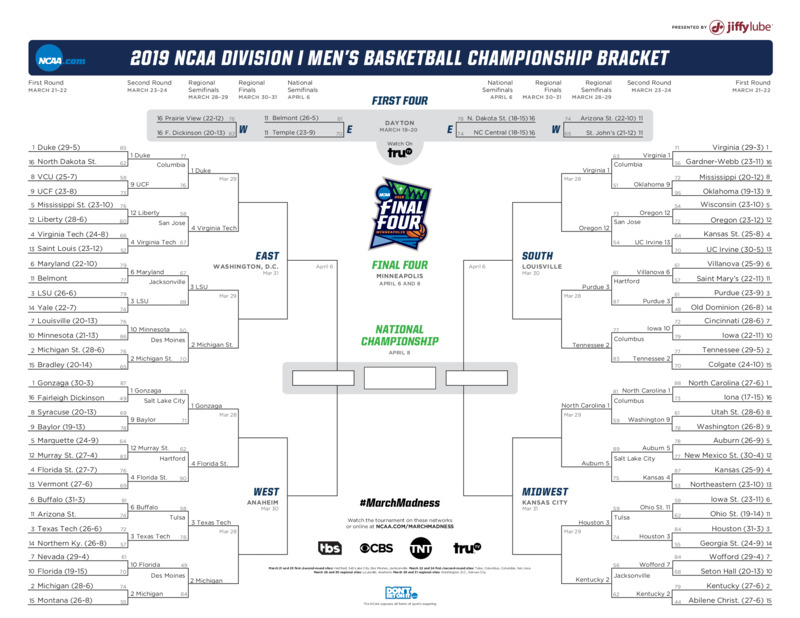 It is March, and from what I can tell, there was a hell of a lot of madness going on, especially in Tulsa where Houston advanced to the Sweet 16. They will play Kentucky on Friday in Kansas City. thinks you are referring to Big Tent Democrat. Alas he has abandoned us for the twitter-verse. If I remember right, he was highly adverse to the social media blow-ups around here, so that is odd that he would head over to Twitter, where those blow-ups are pretty common. since the players started leaving after one season. There's still some good talent but the overall quality of play isn't what it used to be. McBain, maybe you've got some theories as to why it is that the singling out and blaming of someone like Nick Sandmann has elicted a concerted campaign of outrage in some quarters, while the ongoing harassment, and victimization of the grieving Newtown families has been treated like an inconvenient or embarrassing event unworthy of acknowledgment. The Newtown Board of Education delivered a formal request to Trump that he simply publicly acknowledge that the Sandy Hook muderers occurred and rebuke those involved in the ongoing campaign to harass the grieving families, and he didn't have the decency to acknowledge that he recieved the request.